July | 2009 | Wait... What? I had a chance to meet with Plan Cameroon’s Program Technical Team today (including those that look at Monitoring and Evaluation, Health, Education, Sponsorship, Child Protection, Water and Sanitation, Gender and the overall Program Support Manager) to give a quick brief on the ICT4D research and training that Plan Finland is supporting with Plan offices in 8 countries in Africa (Mali, Senegal, Cameroon, Ghana, Togo, Mozambique, Kenya and Uganda). 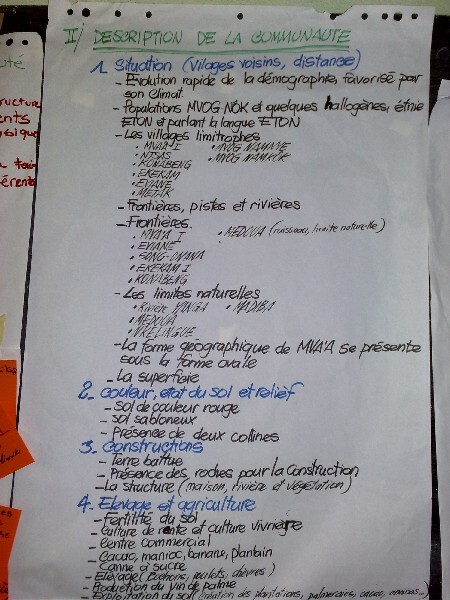 We are working with Hannah Beardon, who wrote Plan’s Mobiles for Development guide (available in both English and French) and building on that towards some more focused and concrete ideas for ICT use in these 8 countries. We’ll share the research with staff during 2-day workshops to brainstorm and gather ideas on information and communications needs, as well as available tools that could be used or adapted to local situations. The 2-day workshops are planned for Aug and Sept. Hannah, Mika (Plan Finland) and I are developing the methodology and will make a training DVD to send ahead of time to each country (apparently complete with our selves doing presentations!) since we don’t have funding to do face-to-face training. We’ll have a staff person in each country as the main facilitator, and 10-12 key staff, from management to frontline, will attend. Mika or I will beam in by skype to support if needed. We’ll use the Frontline SMS demo video that Mika and crew did also, (see my earlier post about this from a few months ago), show how Nokia Data Gathering Software works, share the Common Craft Social Media videos, among other things. Hannah’s methodology will also come in for thinking about how ICTs could enhance existing efforts. 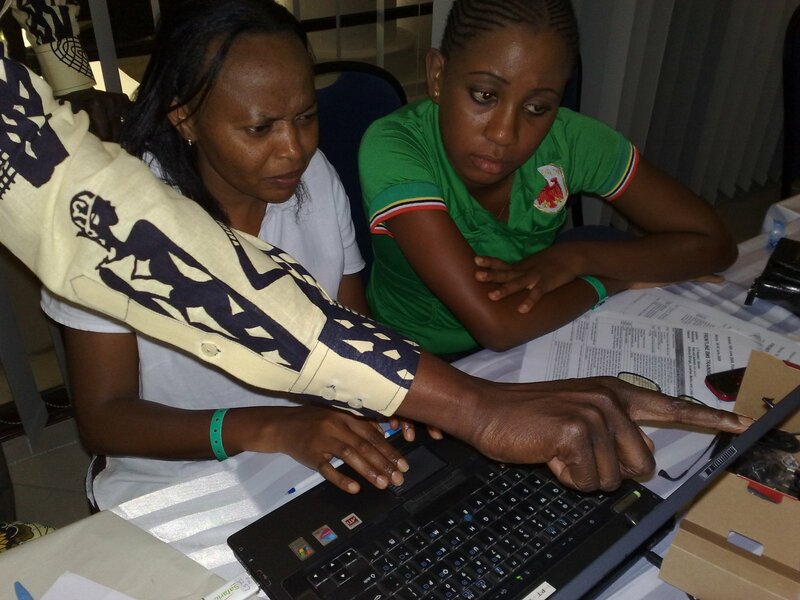 The idea is to both learn about new tools as well as look at current programs and see if there are ways to use ICTs to improve impact, and how to begin tailoring them to the programs and local settings. We’re also doing research on government policies and how Plan’s work links there. I hope that we can also look at partnering with local developers and ICT4D innovators in each country…. 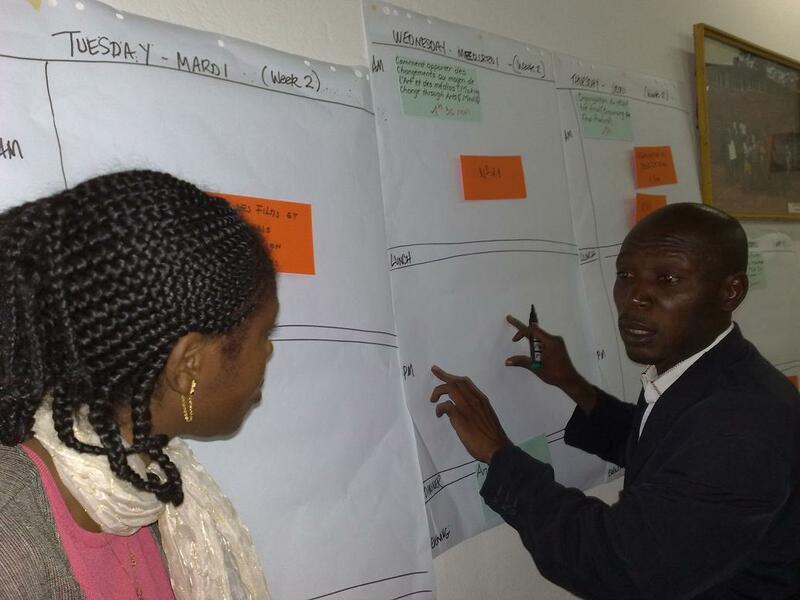 The idea of ICT4D was a bit new to some of the Plan Cameroon staff and not at all new to others. One interesting idea they shared was using SMS in anti-malaria programs to periodically remind people to retreat their bednets. There was some concern about literacy rates if one relies on SMS, and interest in using voice response, but given the number of languages in Cameroon, voice could also be a bit of a challenge. I’ll have to try to find out if/how that’s overcome in other places. Another concern was ‘scamming’ and how to avoid that happening. But it seemed that the issue of scamming is not something that Plan alone would face, but something in general that is faced with mobile phones. The program support manager was really keen on using mobiles for program monitoring as that is something that can always improve and be more efficient with ICT, he said, and wants to test some ideas. The ICT manager also said he wanted to write something up. The sponsorship manager suggested trying out some data collection or quicker communications tools for linking with community volunteers. And as mentioned earlier, child media and child protection are areas that can be greatly enhanced and supported via ICTs (help lines, SMS incident reporting, social media and mobile reporting). After the 2-day workshop, we should have something really nice to go forward with. 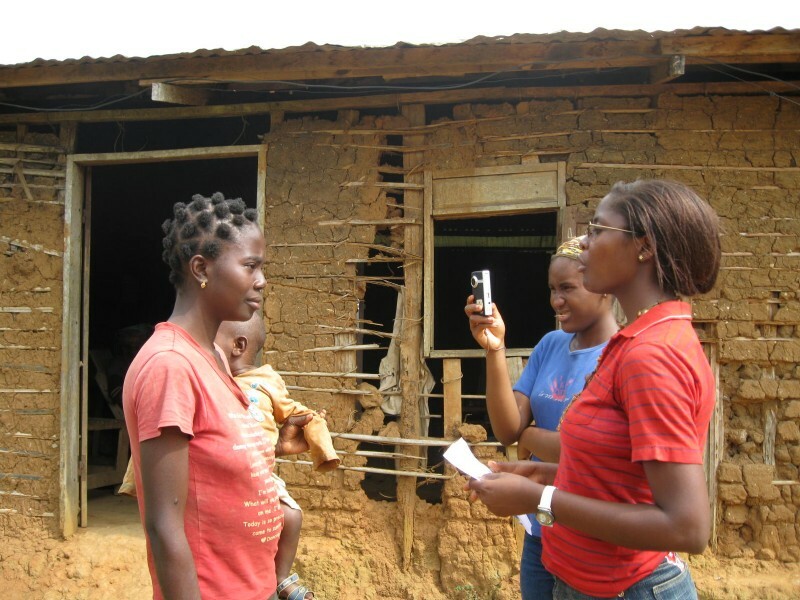 Before I left for Cameroon, I had started doing a little of my own research via blogs and Twitter to learn a bit more about ICT4D in the Cameroonian setting. I wanted to get a feel for what the situation was so I’d be more in tune and also to see if there were any potential partners or people on the ground who I could learn from or link with Plan Cameroon. In the end, I was able to meet with Mambe Churchill Nanje the founder of http://www.afrovisiongroup.com/ and a partner on http://www.villagediary.org/, a project of the LINK-UP development group. Photo: Mambe Churchill Nanje of AfroVisioNgroup. By supporting the establishment of marriage licenses, birth certificates and last wills and testaments and providing secure access to digital backups of these documents to authorized case workers, Village Diary aims to alleviate the problems that arise after the death of a leading family member. Village Diary also collects stories by women and children to provide a forum for making change and at the same time offers a window into community life. Village Diary does this by operating an online database that documents and shares cases of abuse of women and children for education, research and advocacy purposes, establishing institutional partnerships to enhance legal, social and health services and facilitate access of such services to orphans and women, strengthening existing support networks for women in the community, and recording cultural, environmental and historical changes of the people and villages involved in the project. So on top of being involved in some very cool projects, Churchill is also a very cool guy and it was great to have the chance to hang out with him and a few friends on Saturday in Yaounde. Thanks, Twitter (and ourman, billzimmerman, and downeym!). I’m looking forward to seeing where this guy is in a few years, as he has some fantastic ideas for IT in Cameroon. Mid week the first week of the community youth training, the youth chose what they wanted to do: arts or video/photos, and they split into groups for more focused training. The media group further split into 6 small groups of 4-5 people (one for each set of equipment) to then develop their interviews and ideas for their short films, based on the list of topics that had been created earlier by the youth and community members. The arts group chose topics from the list also to develop out. 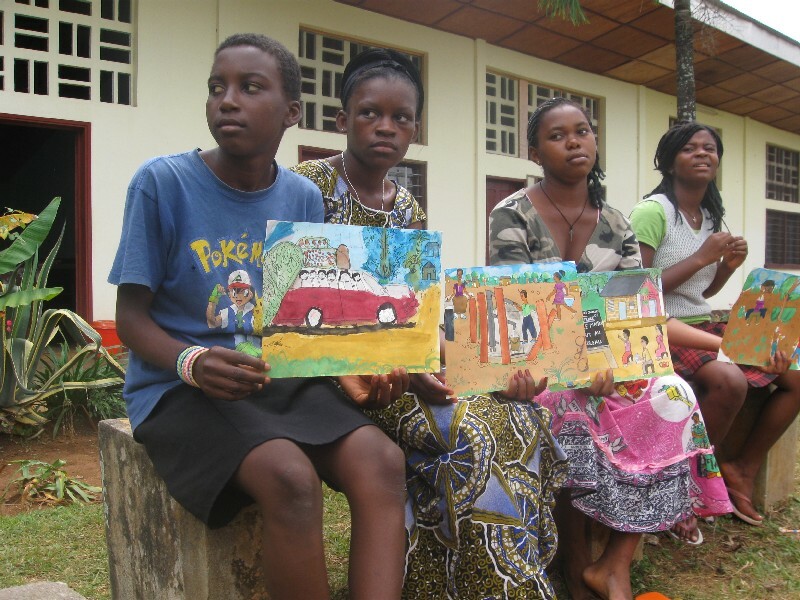 Photo: Some of the arts group. We closed out with a community film showing where the Mayor and community members and parents were invited to see the work of the youth. The youth, teachers and community members worked on an action plan to determine how they will follow up via concrete activities in the coming 6 months. 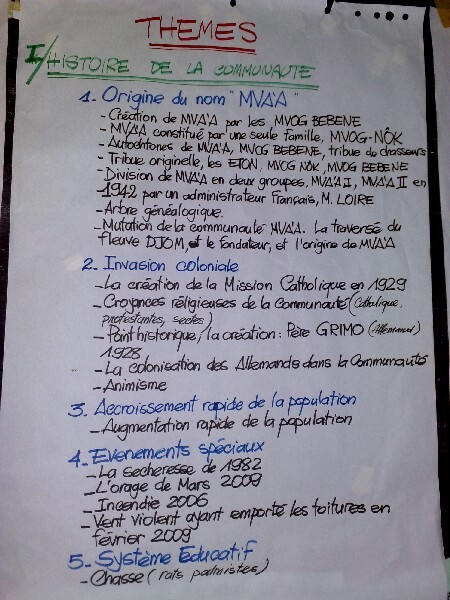 Plan Cameroon is hoping to expand the program to additional communities, so it was important that the Mayor’s office attended as maybe they would have funds to support project expansion…. 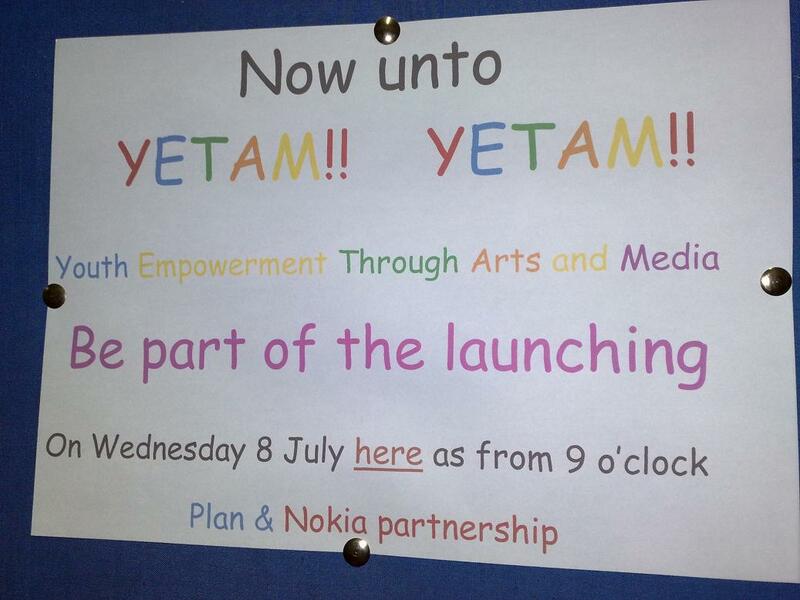 We started the YETAM training with the youth on Tuesday morning, after an official launch. The mayor of Okola attended as well as some of the Plan staff from the Country Office in Yaounde. 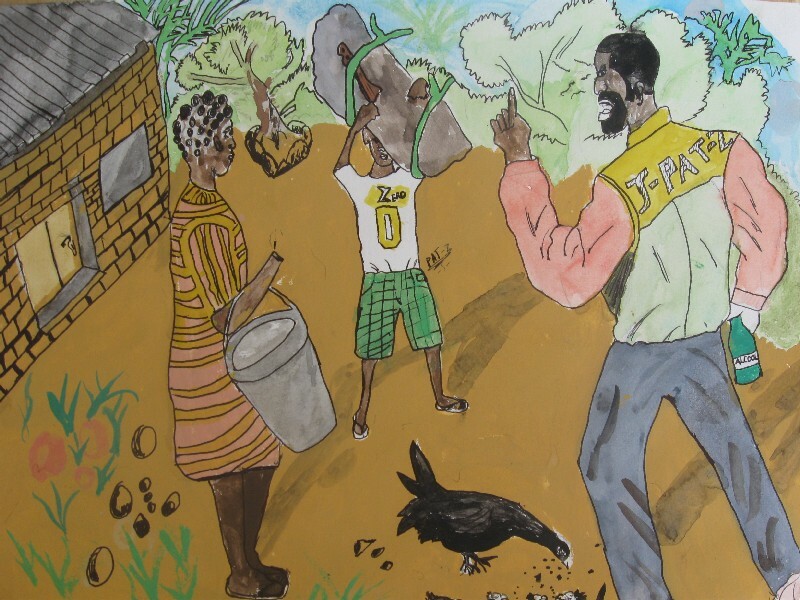 Since the youth had already had training via Plan and IRONDEL on the Rights of the Child, and some had worked with Plan’s Kids Waves radio show, they were really well equipped for moving onto video and arts work. 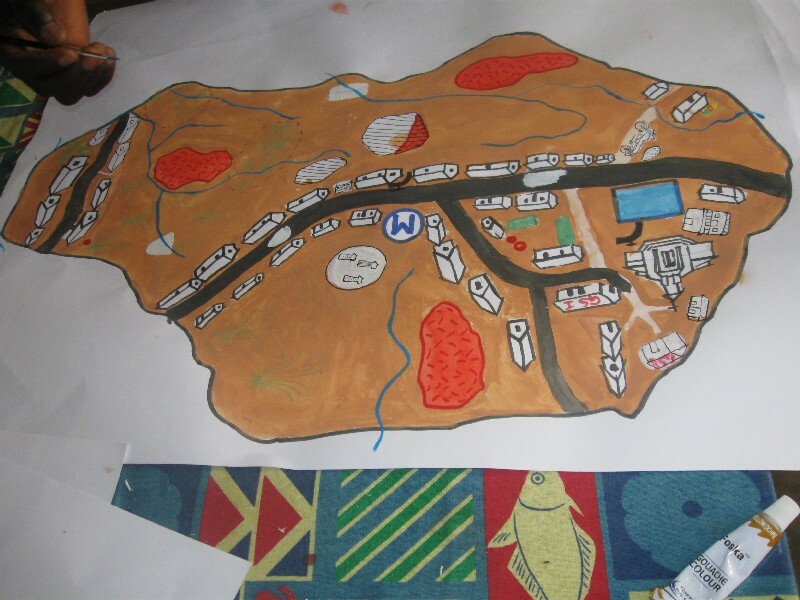 They started with their community map where they had detailed, along with the community organization members, everything in their community. The youth presented the map and everyone worked in groups to organize and flesh out the information from the map in 4 categories: community history, community description, community resources, and the situation of child rights and protection. 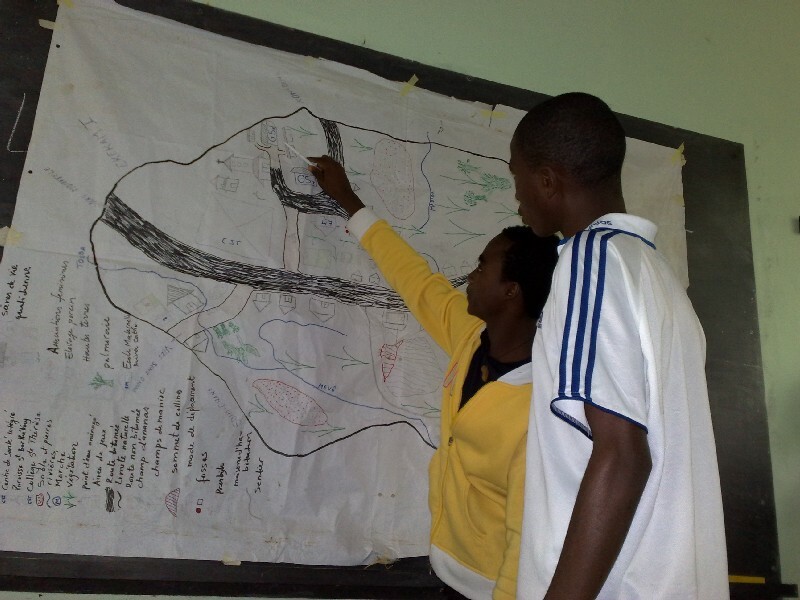 Photo: youth presenting the map. They wrote their ideas on note cards which were posted on flipcharts and then sorted to come up with final categories. These formed the basis for all the upcoming work. Photos: flipcharts with the different topics for filming and arts work. After the map work, we went into introductions to the different things that we’d be doing: photography, film and drawing/painting. We had a bit of a struggle within the team getting facilitators to move from too much theory onto practical work. 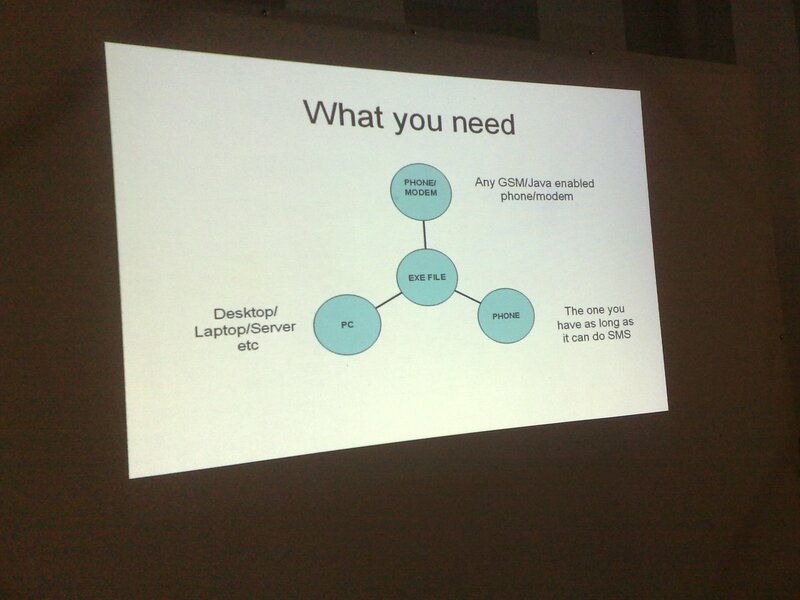 They kept going back to presentations and lots of long flipcharts and technical descriptions. Photo: The arts group re-drew a nicer version of the community map later in the week. We realized later in the week that we didn’t all have the same understanding of the project methodology. Some thought that we were doing 1 week of theory, and 1 week of practice, and then afterwards would start making some videos, when in reality the idea is that we would not focus too much on theory because the media equipment is very simple to use, and we can use practical, hands-on exercises to build the technical skills. The idea is to quickly get hands on during the first week, and then start making a first round of arts and videos near the end of the first week, continuing through the second week, and then getting into editing by the middle of the 2nd week. In the evenings we’d look at the footage as a whole group, and participants would talk about what looked good, what didn’t and how to improve. Once that got cleared up things moved on splendidly. Photo: Practice and group reflection is the best teacher. The Youth Empowerment through Arts and Media project (YETAM) kicked off on Wednesday with a press event, and then a training of trainers until Friday. At the press launch, I had to give an overview of social media and the YETAM project. 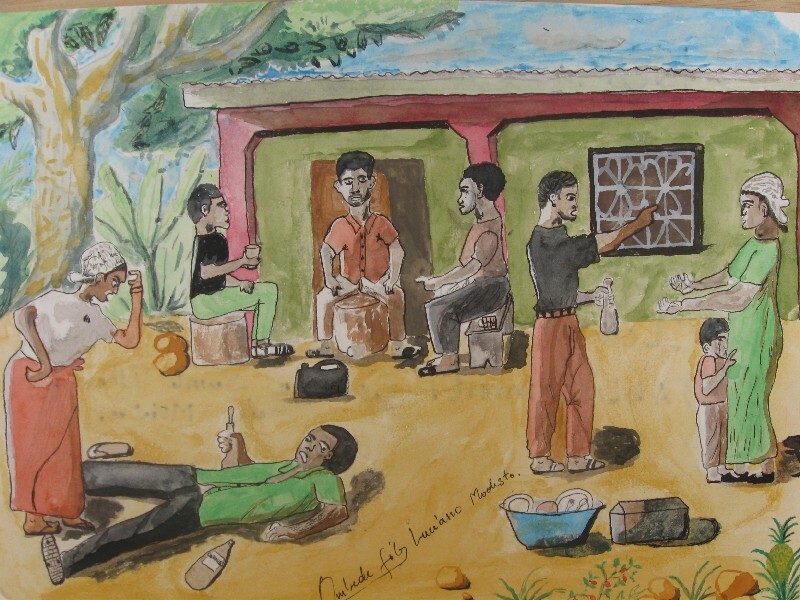 The focus was on how social media can serve as a tool for community development, social change and augmenting participation, because it is based on some of the same principles and approaches as good community development work: partnership, ownership, collaboration, sharing, openness, communication, voice, power sharing, accountability, transparency, and democratic processes. I was bit afraid to use any examples of human rights/election monitoring or mention how social media is forcing the media business to change and impacting on social ‘revolutions’, not knowing if it could be threatening to the government and media attending, so it seemed better not to bring it up! 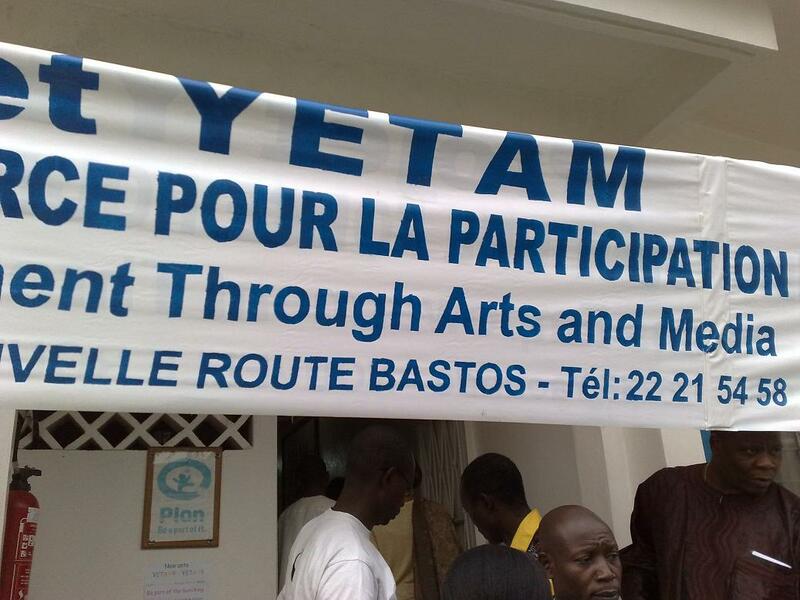 Photo: YETAM launch announcement hanging in the lobby at Plan Cameroon. For me the most interesting part of the 3-day workshop was listening to the participants debate about whether arts/media are tools or products. People said that they really learned something from the debate, that it really sparked their thinking about what is art and what is media and what both are for. They concluded (as I had hoped) that arts and media can be tools that help youth (in our case) research and deepen their understanding of themselves and their communities during the creation process. Yet arts and media are also products that are ‘consumed’ afterwards, catalyzing more debate and dialogue (sometimes via more arts and media) and if successful, eventually lead to some kind of positive social change. And the cycle goes around and around. Photo: Press event for the closing of the training of trainers. 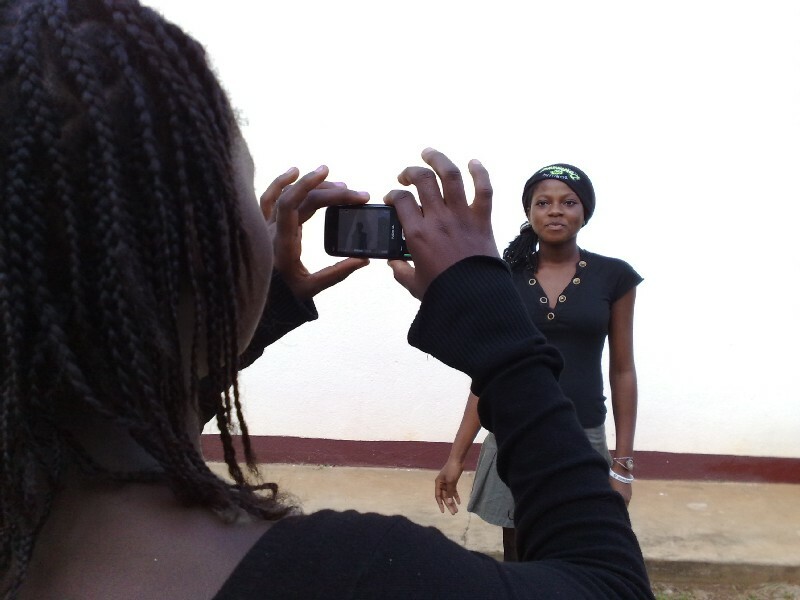 The idea of tool vs product can be a struggle sometimes when we start work on YETAM and the concept of participatory video or social media for social change and working with rural communities. Sometimes people think that we want fancy commercials or television spots or 30 minute professional documentaries or fiction films, or they don’t believe children/youth will have the capacity to make their own videos or edit their own films, or that people from rural communities can learn to use the equipment. It can be hard to explain that we don’t need to write long scripts and set up scenes with lights and big media teams with large expensive cameras, and that if we bring the technology down to simple language and hand over the camera, it’s very doable. We don’t need a week of theory before we allow the kids to touch the cameras or to paint something, that the media and the art are the means for having the discussions and theorizing about the issues as well as the end for continuing on with the discussions. And we don’t need to disrupt the community and or have ‘outsiders’ doing it for the media or art to matter. Local people can make their own media and it can be even more meaningful that way. Photo: Plan and partner staff working on the agenda for the youth training that starts on Monday. Childline Kenya is about child protection. “We run at 24 hour children’s helpline which is both an emergency response service for abused children who need someone to help and an information line where children who have difficulties or questions that are bothering them can call us, we can talk to them, have a chat, do counseling on line, deal with abuse.” Irene Nyamu is the Deputy Director of Childline Kenya. She also worked at Plan for about 3 years before moving to her new post. Photo: Irene during a community visit in Kwale. At Childline, Irene is constantly looking at new issues and situations because the field of child rights and child protection is vast. Childine works with everything from adoption issues to drug addiction to child abuse within the family and juvenile justice. “I wasn’t too versed in legislation, laws that relate to children and I’ve had to learn so much,” she says. What about credit? This is a very important issue. “If organizations or institutions want to use SMS, then there is an investment cost unless you are able to acquire a short code. Childline tracks how many people have dialed in and how many calls they actually receive, and they currently receive many more calls than they are able to manage. 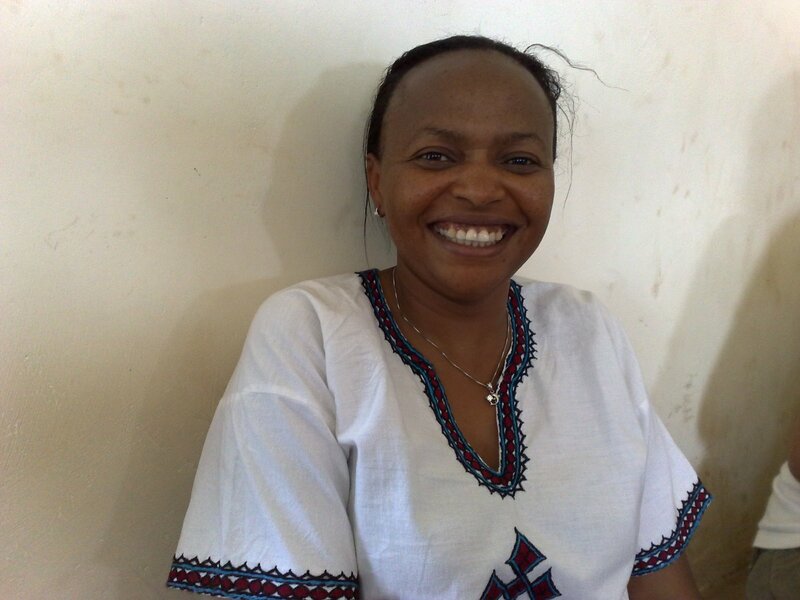 Irene thinks that one way of extending the service out to more children might be an increased use of SMS, which is extremely common and accessible in Kenya. 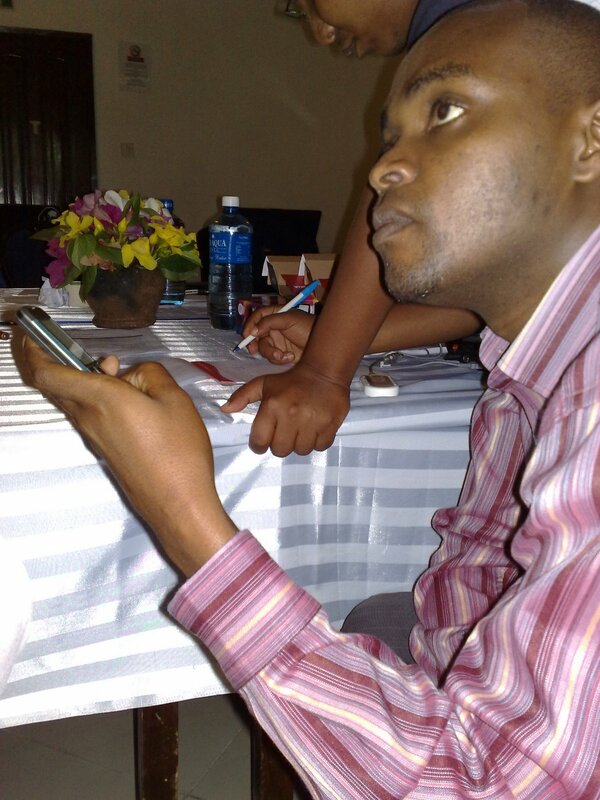 “To meet the needs of our population, I think this FrontlineSMS training was really useful. We can now go in to explore how to use SMS for child helpline work in order to offer more alternatives to children. If you can’t call, can you SMS? And how do those numbers compare?” Photo: Learning to set up Frontline SMS for mobile data gathering, SMS outreach and auto-responses. “I love working at Childline because every new day is different. Every new call that comes in, you can anticipate a new challenge.” One way to meet some of these challenges is via new technologies such as mobile outreach and mobile data gathering. 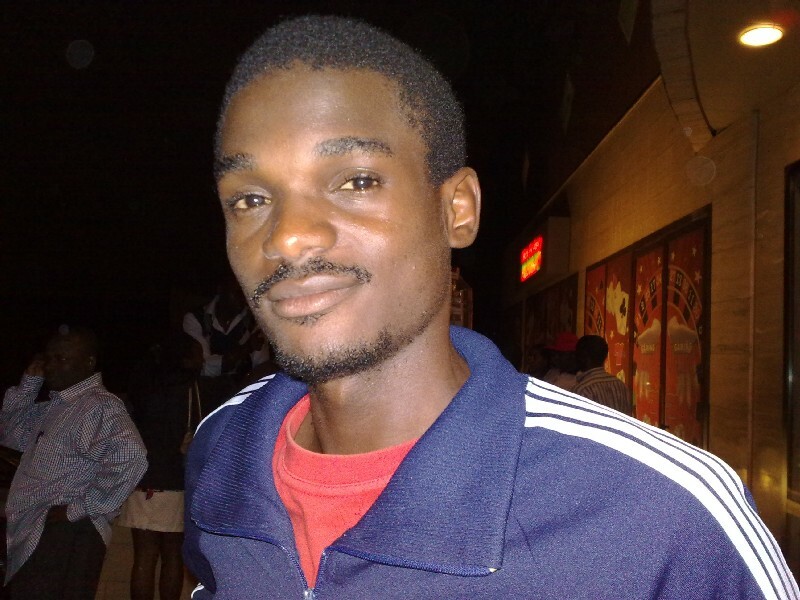 Photo: Mativo is the founder of ICT4D. Mativo has worked with one school to install FrontlineSMS (http://www.frontlinesms.com/) in order to communicate with parents. This year there was a teachers strike. Most schools sent their children home. But this school got all the parent/caretaker contact information. 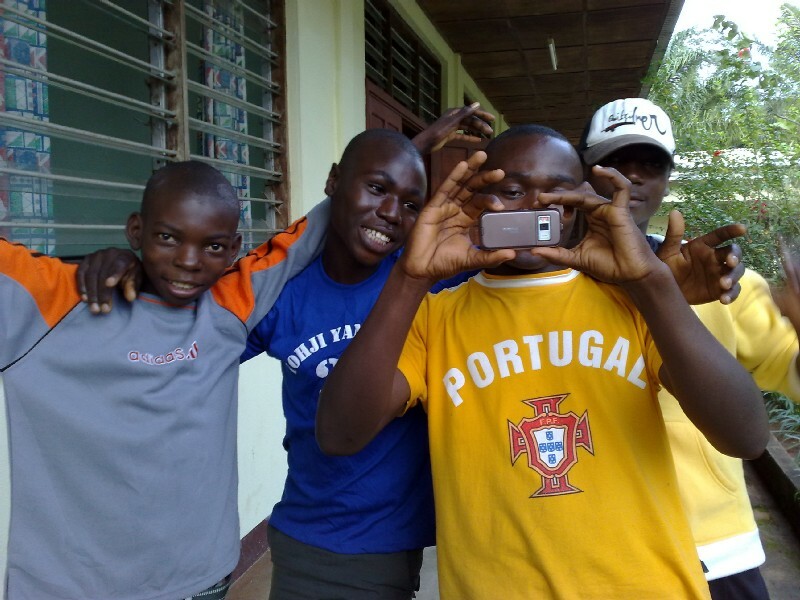 “Within 2 days we had all the mobile numbers.” They keyed them into FrontlineSMS and the head teacher used the software to send an SMS to all the parents and asked if they should send the children home or not. “We got 237 out of around 400 messages back from parents on the first day saying ‘don’t send our children home’ and the rest said to send them home.’” So the head teacher kept the children at school, and when a parent questioned the decision at a parents’ meeting later in the year, he used the SMS he had saved to explain the reasons. Now the school is using the software for all kinds of things. On annual Prize Day instead of the normal low turn-out, they had 75% turnout for the first time this year. “Parents said you communicated with us in due time by SMS and kept communicating with us over time to remind us.” Normally students are given newsletters during holiday times and parents don’t remember key dates when they finally roll around. 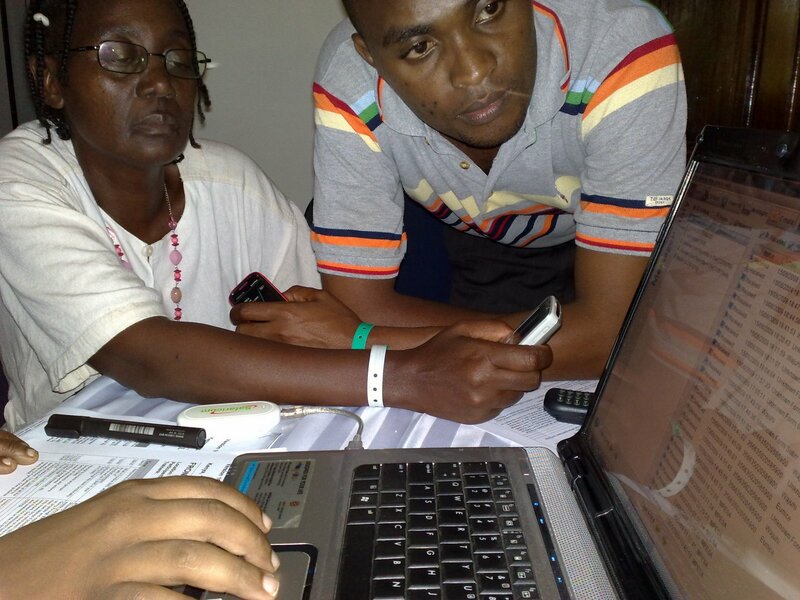 Photo: Simplifying ICTs for people.